Made with rich, Moroccan Argan Oil for incredibly moist, healthy, breathtaking hair, use Curly Twirls Custard to protect and add even more style to your beautiful, natural curls. 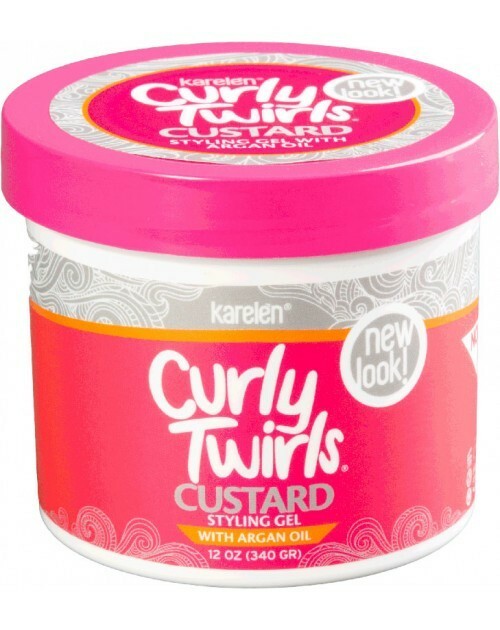 Curly Twirls Custard adds shine while locking in moisture and eliminating frizz. You get a lasting, natural-looking hold that gives your hair more character than the world can handle. Wash and condition hair. Do not towel dry. 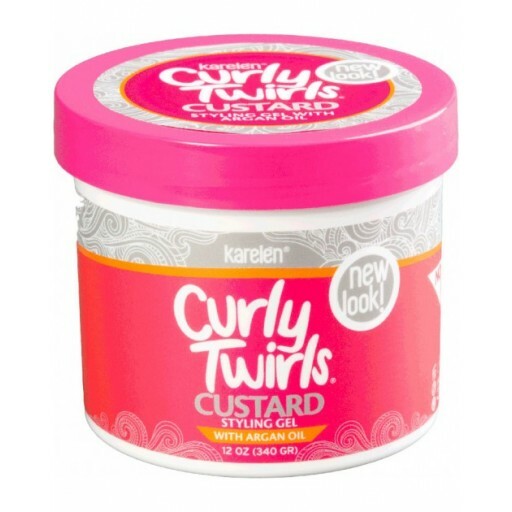 Apply Curly Twirls Custard generously to wet hair, working into strands with a wide-toothed comb. Use regularly for healthier looking hair. For amazing results, apply after treating with Curly Twirls Leave-In Detangling Conditioner. FOR THICK CURLS: Apply to hair that is dripping wet. Comb into sections with a wide-tooth comb, and smoothing with fingers from roots to end to loosen curls. FOR LOOSE, WAVY CURLS: Apply to damp hair. Scrunch into sections with hands. Turn head upside down while scrunching to add extra body and volume.